Oil giant Royal Dutch Shell will cut at least 250 jobs this year and increase workers’ hours at its North Sea operations following a drastic drop in the price of oil. 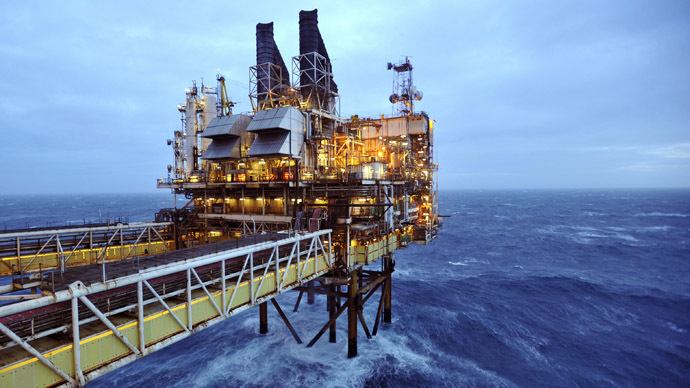 Of the 2,400 staff and agency contractors currently working in the North Sea, around 10 percent will be fired. The job cuts are in addition to 250 redundancies announced in August, before the oil price started to drop. Workers in Aberdeen and on North Sea rigs were told about the redundancies on Thursday, the Anglo-Dutch company said. "The North Sea has been a challenging operating environment for some time," said Paul Goodfellow, Shell's upstream vice president for the UK and Ireland. "Current market conditions make it even more important that we ensure our business is competitive. Changes are vital if it is to be sustainable. They will be implemented without compromising our commitment to the safety of our people and the integrity of our assets," he added. The company previously announced plans to hold off on a three-year investment plan in oil exploration set to span three years. The project will likely cost $15 billion. Chancellor George Osborne announced measures to ease the pressure on North Sea oil producers in last week’s budget, including a cut in taxes worth $1.3 billion. Shell added it would increase employees’ working hours. It proposed a change from the current two weeks on, two or three weeks off system to employees working a three weeks on, three weeks off shift pattern. Oil and gas giant BP announced earlier this year that it would lay off 300 workers in the North Sea.